Getting a student loan for college is easy, but paying it off is the hard part. Lenders are all too ready to hand out funding for college costs that are climbing higher and higher. 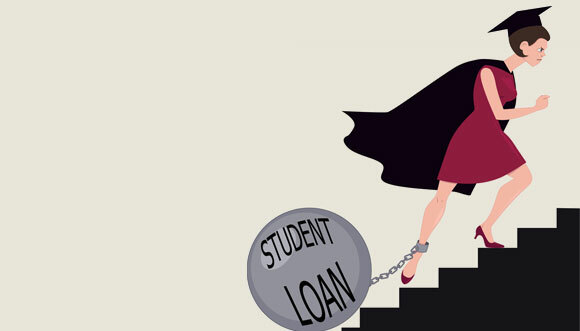 Many students are left with no choice but to take out loans to get a college education with the hopes of finding a high paying job after graduating. The reality is the job market has been rough and college costs keep rising as wages stay the same. Luckily, there ways to shed the weight of student debt that has been holding you down. The best way to pay down debt is to know where your money is going. While it may seem tedious and annoying, creating a budget so that you know exactly what you are spending your money on is very advantageous. You will be shocked to see how small expenses throughout the month can really add up. Once you have all of your expenses written down, you can see that if you skip going out for coffee every day, buy household items in bulk, and wait for items to be on sale, you can seemingly find extra money out of thin air. You may not have to pay that entire massive student loan that is looming over you. There are two main debt relief options to help you cut total loan payments, helping you fit your monthly budget better. You can either consolidate or refinance your student loans at a lower interest rate to help lower your monthly payment or pay down your loan faster. The other way is entering a debt settlement program. Each option has pros and cons, which can be found here, so it is important to research each option before making a student loan relief decision. Since you have planned out a budget and understand your options, you can now decide which path is best for your situation. If you have a good credit score, consolidating your loan is probably your best bet. There are several companies that will issue new loans for your student debt at lower rates. Unlike traditional lenders, many online lenders use education and career trajectory to measure a customer’s repayment likelihood. By looking at your financial future and not just your past, these companies can issue loans at rates that let you save thousands of dollars on your total student debt payment. Many companies also provide loan terms up to 20 years, which can also decrease your monthly payment. 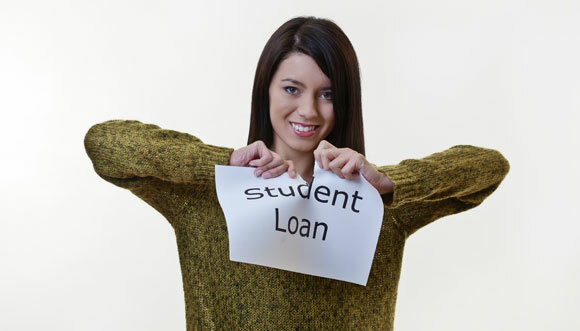 For people with student loans and bad credit, debt settlement may be the best option. Customers pay an affordable amount into a savings program that a debt settlement company will use as leverage to negotiate a settlement of up to 70%. While that sounds great, there are some long-term consequences. While you pay into your savings plan, you will not be making loan payments, which impacts your credit score. Also, the debt settlement company will charge a percentage of the money they save you and that money you save is considered taxable income. However, if you cannot get a better interest rate on your student loans, this is definitely an option to explore. Check out some of the best companies to help you lower your student loans. After you have explored your options, consider a new payment that will fit your long-term budget constraints. You can only lower your debt by not spending more money than you make. Transferring debt from student loans to credit cards is not a good long-term solution. You must make sure that your new student loan payment or debt settlement payment is an amount you are comfortable spending for the foreseeable future. If it is not, go back and see how you can cut your spending. If you cannot, consult meeting with a professional debt consultant, many of whom are free at non-profit organizations. If you can follow through on all of these steps, you will be on the road to paying off your student loans and setting yourself up for a financially healthy future!